The Ultimate in Pizzelle Makers – Find You in the Sun – A daughter's slow waltz with her mother's dementia. 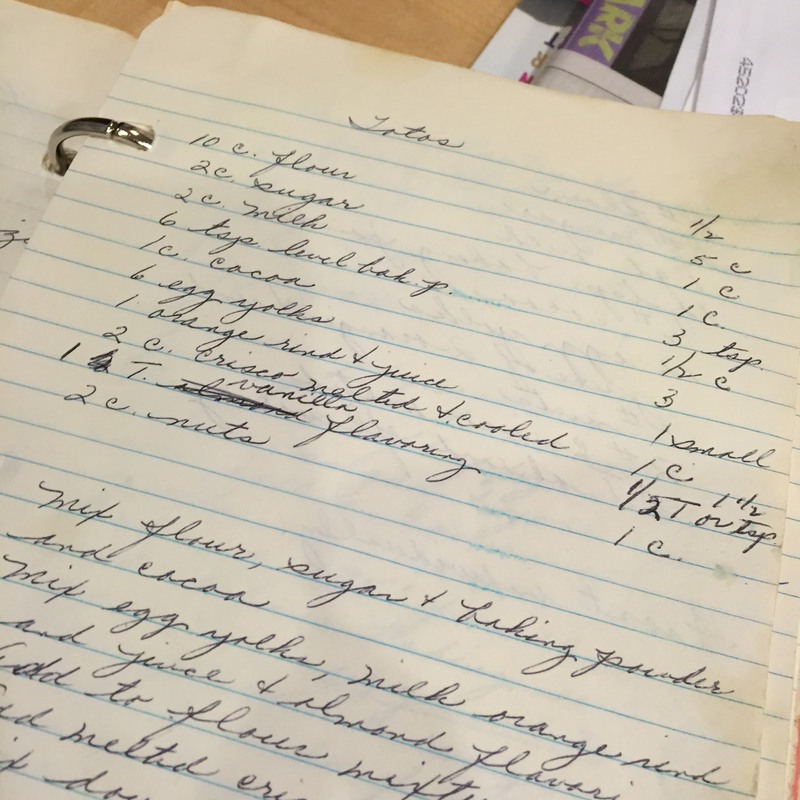 I glanced down at the handwriting in her cookbook, and tears clouded my eyes. Though Mom was still with me, she no longer wrote, despite efforts to put a pen in her hand. Maybe she was just tired, tired from rolling and cutting and scooping and mixing. Maybe her hand just got tired. Those were my thoughts as I flipped through the yellowed pages of her homemade cookbook and read aloud the names of all the cookies she once coddled. As usual, I grew despondent during the holidays because I could never match my mother’s baking or Christmas prowess. 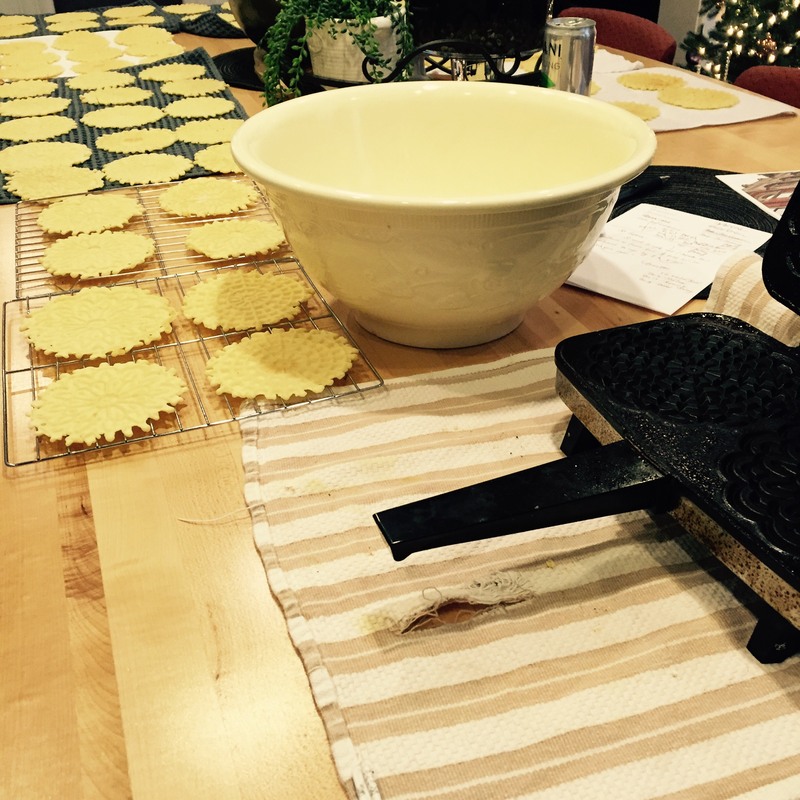 Every year, I dragged out the cookbook (I promise I’ll make copies, sibs, one of these days) and pulled out my pizzelle maker or the flour and the cutters, and I attempted to recreate Christmas in the same fashion Mom did all those years. Next to God, no one else did Christmas better than my mother. She made Christmas out of every cookie cutter, sugar sprinkle, pot of grease, and pizzelle iron in existence. Early mornings and late nights in December, I always found Mom in the Lincoln Street basement, where a second kitchen had been installed mainly for that time of year that filled our house with yeast and yum. Sometimes, I gravitated to the basement to just sprinkle or roll – not too much, not round enough – I hear her echoes as I said the same thing to Davis while he helped me roll dough that would come close to tasting like Mom’s, but not really. I wasn’t much of a talker, and Mom and I didn’t have the Internet to offer us topics on a variety of conversation, like Davis and I as we conversed over mostly sports while rolling the dough for the Totos. But I loved being in Mom’s presence, watching her hands. Like a magician’s sleight of hand, she created the perfect cookie. In another life, our family would have packaged her pizzelles. I have seen the packs in stores and restaurants. But the cookies hardly tasted like Mom’s, first because they left out the anise or actual fennel seeds. Second, no one used the iron press anymore. And third, because to reproduce the taste profile, one needed to incorporate not only the smears of real grease, but also the years of elbow grease that went into every cookie that ever came off Mom’s press. In conversation with Becky, the activities director where Mom lives, I retold stories of the myriad number of cookies that could be seen on any cookie tray at Mom’s home. When Fr. Weber came to visit, when Mom’s card club arrived for Christmas cheer, when boyfriends passed through the carousel of caring, when the one girlfriend stayed (we love you Kim). When the grandkids finally arrived, their first cookies were not those Zwieback ones bought in stores, but the biscotti and pizzelles cranked out fresh daily from Mom. Of course, there was also the Grease Fire of ’94, in which the fire department had to be called and a bit of the basement kitchen replaced. And still, Mom burned on. Love you, Mom. But I may have loved your cookies just a little bit more. Mom is in the hospital this Christmas. A lack of eating, depression, dementia, or a bad combination of meds. No one is certain at this point. In consideration of the years she spent toiling over her Christmas cookies, here is an honor roll…of sorts. For those who were never the beneficiary of her fine tastes, well, I am truly sorry. You missed out. Church Windows – with colored marshmallows! I still have my mom’s and grandmother’s recipes. There’s something wonderful about making the same food (even if it never tastes the same). I feel closer to them and sadly, a little farther away… I can’t ask them just how much is enough of the flour to add or if I should wait until the kuchen browns to put on the sour cream. I hope your mom feels better and returns home for the holidays. Yes, something in handwriting that stays forever! 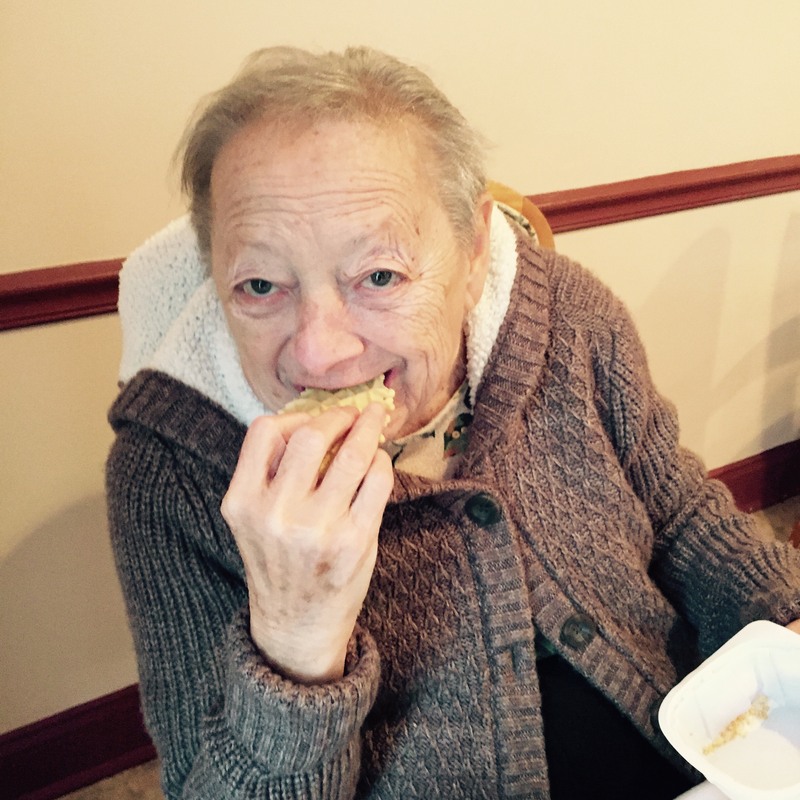 Mom is actually in a memory care home, where she has resided for almost five years. Which makes the holiday all the more challenging.